Crossroads Plaza will consist of a grocery store and associated development totaling approximately 80,000 square feet. There are four outparcels…one was sold to Spinx (the area’s leading convenience store operator), another was sold to First Citizens Bank, and two are still available at 1.08 acres each. The rear of the property can be developed for a non-retail use such as business center or multi-family. The property is located at Hwy. 101 & Hwy. 296, central to a high-growth area that is fueled by the major employment at BMW and other employers in the vicinity of I-85 and Hwy. 101. 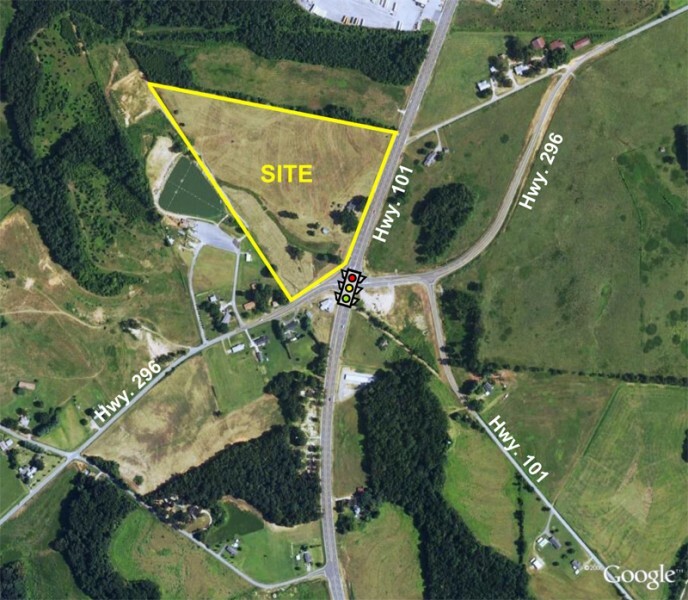 The site is situated at the northwest corner of the signalized intersection of SC Hwy 101, which is five lanes, and SC Hwy 296 (Reidville Road). The intersection is central to a high-growth area that is fueled by the major employment at BMW and other employers in the vicinity of I-85 and Hwy 101. SC Hwy 101 was expanded from 2 lanes to 5 lanes along the trade area from I-85 to SC 417 (eight miles) and will ultimately be expanded all the way to I-26. This $31 million project was completed in spring of 2005.